The generation of people that has come to be known as the Millennials has received much attention in recent years. This is understandable given that they are now the largest living generation and are also making up an ever-growing percentage of the workforce. 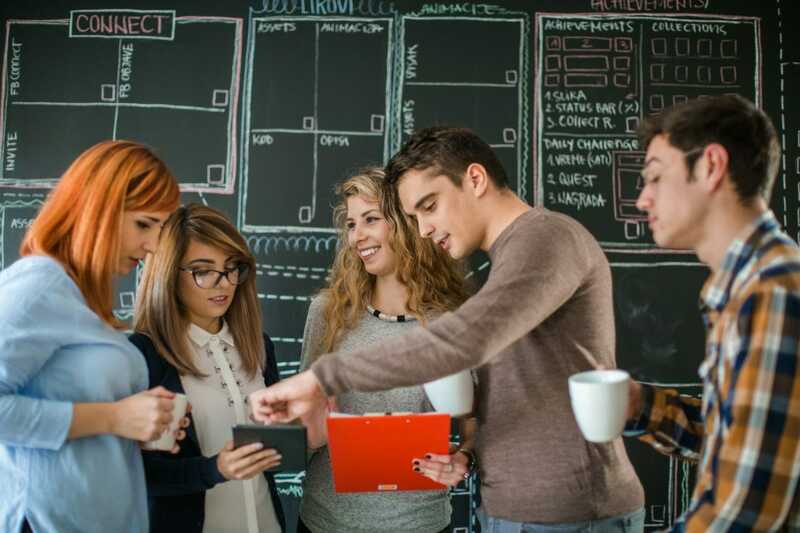 And while much has been said about Millennials in the workplace, businesses have been slow to cater to their needs. Nowhere is this more apparent than in the learning and training departments in corporations. It makes good business sense for employers to start focusing more on eLearning for these tech-savvy digital natives, but if they don’t tailor their eLearning efforts to Millennials, their chances of getting the desired results will be slim at best. One initiative in particular a growing number of employers are utilizing is gamifying Millennial eLearning. But what does that really mean, and what are the specific ways successful companies are making it happen? Professionals who are older than Millennials can understand why gamification of eLearning has been slow to pick up speed. There are plenty of managers and leaders out there who think these young people already play enough games without purposely bringing gaming into the workplace. To them it sounds more like a recipe that would guarantee non-productivity. But this way of thinking is just a denial of reality: Millennials are steeped in gaming, they think it’s valuable, and gamification works. Millennials, perhaps more than any other generation, grew up with video games, and not just in the form of dedicated gaming consoles such as Playstation, Nintendo and Xbox. They play games on their PCs and mobile devices as well. While just over half of American adults play video games (53%), that figure skyrockets to 81% among the age group that falls within the boundaries of Millennials (source). But besides the fact that gaming is hugely popular among Millennials, even more relevant is how easily they relate gaming to the workplace and skill development. As John Zogby noted several years ago in Forbes, 67% of Millennials think gaming teaches them how to establish winning strategies, 70% think it helps them become better problem-solvers, 63% say it enhances their teamwork abilities, and nearly a third have an online avatar. Gamifying Millennial eLearning will make them feel right at home. But gamification in eLearning applies to more than just Millennials. Lots of people enjoy gamification, even if they don’t think of themselves as gamers in the same way Millennials do. Think about all the different rewards programs people belong to, from frequent flyer miles to a coffee shop loyalty card – these are gamification in action throughout your everyday life. Keeping track of health stats with a FitBit. The instant feedback you get on fuel economy based on how drive in some hybrid cars. These are all different ways that gamification is applied in everyday life, and people of all ages find that they enjoy it. The neuroscience behind why gamification works isn’t hard to understand. Each time you reach a new achievement level, you feel a little rush of excitement and pleasure. Your brain gets the message that what you just did to accomplish something is worth pursuing. What’s happening in the brain and body is the release of various feel-good hormones and neurotransmitters, including dopamine, serotonin and endorphins. In the same way that people experience a “runner’s high,” gamification of eLearning can create lots of positive associations with learning and even training as learners are rewarded with each achievement. With this understanding of how gamifying Millennial eLearning works, what are specific ways employers and learning companies are making it happen? Consulting and professional services giant Deloitte is one global company that has taken gamifying Millennial eLearning seriously by gamifying its online Deloitte Leadership Academy (DLA). Each learning content chunk is presented as a “mission” to be completed, and new participants begin with a short on-boarding mission to get the lay of the land. Upon completion, users receive a badge. They can then personalize their DLA experience by connecting to personal social media networks and uploading a profile and photo. This kind of customization increases engagement. Completing additional missions grants more badges, some of which are “secret” badges that pop up unexpectedly when certain conditions are met, and few things delight users more than a surprise achievement. The platform also has a leaderboard concept built into it, but it’s more than the typical simple display of the top ten user scores for the overall platform. Those can be counter-productive when the same superstar users dominate the leaderboard, which demotivates others who know they’ll never catch up or surpass those leaders. Instead, DLA users compete with others who are at their same overall level such that each level of participants has its own top-ten leaderboard. And all the leaderboards are reset every 7 days, which means everyone has a chance each week to be the top learner at their level, which helps prevent attrition when users miss a week or two for whatever reason. Results for Deloitte’s gamification efforts have been impressive: DLA participants are spending more time on the site, returning more often each week, are completing programs in ever-increasing numbers. Few things could seem more mundane or boring as being trained on how to use a cash register at McDonald’s. When the global fast-food giant rolled out a new “till system” as it’s called in the UK, it knew it needed to do something to make training more exciting and allow leaners to make mistakes in an environment that wouldn’t include real customers. Gamification provided the solution. McDonald’s partnered with City & Guilds Kineo to make the till training into a game that was fun, purposeful, and highly effective. The game is a real-time simulation of taking customer orders in a timed environment along with questions to assess knowledge. Game goals and awards include getting orders 100% correct, “3 on the bounce” (getting three orders correct in a row), beating the clock, and keeping the customer satisfaction meter high. McDonald’s was very happy with the results. It was the chain’s first attempt to gamify learning, and it worked. The game remains the most popular employee portal page ever, and 85% of users believe it really helped them understand the new system and helped boost their future performance. The business results included faster till service and high customer spends. For companies that subscribe to a Learning Management System (LMS), gamifying Millennial eLearning could be as simple as switching vendors. Many of them have started incorporating gamification principles into their products, but the quality of these offerings varies widely. One of the best examples in this regard is The Academy LMS from Growth Engineering in the UK. It includes the basic gamification elements of points, badges, leaderboards and levels, but it does all of them really well. And the secret sauce is their use of a superhero theme and superhero avatars. Superheroes are hot right now with Millennials as seen with all the TV shows and movies based on comic book superheroes, and The Academy LMS manages to do it without it seeming overly cheesy. Just about everything in this LMS ties in explicitly to the gamification aspects, so it doesn’t feel like an “add-on” thrown in for good measure to satisfy a fad. Even content authors have their gamification in which to participant, which is a very novel aspect for any LMS. The vendor also keeps adding and modifying gamification features, keeping the gamification aspects fresh and ever-changing. And it even includes the capability to work in real-world rewards based on learning achievement. The sky is the limit here, from company swag to special parking privileges, a sit-down with the CEO, a day-off pass, gift cards – the more creative a company is with these offerings, the better. Gamifying Millennial eLearning is more than the mere fad many have made it out to be. Far from it, gamification may very well be one of the most essential keys to unlock the door to Millennial engagement and retention in the workplace. When done well, gamification of eLearning can boost workforce productivity while giving employees a much-needed dose of fun even as they’re getting better at what they need to do. That sounds like a winning combination any business would be pleased to offer. Companies who aren’t at least thinking about this are already behind the curve. Those who proactively make it happen stand to reap multiple benefits that will have a positive impact on not just their learning and training goals, but their bottom-line operations as well.